During the approximately 100-day genocide approximately 1 million people were killed, including my entire family. The Republic of Rwanda has a total area of 10,169 square miles (26,338 sq. km.). With a population of more than 11 million people, Rwanda is one of the most densely populated countries in the world. The country’s monetary unit is the Rwandan franc. The story thus far: Phodidas had been captured by the killers, who forced him to dig his own grave. While he was digging, one of the killers became interested in Phodidas’ Bible and began asking questions. Once the grave was dug, the group decided to use it for someone else. Before forcing Phodidas to dig a second grave, they allowed him to speak to them. First, I thanked them. “Thank you for praying for somebody that you have killed. However, you need to understand what the Bible says about death—the only chance you have to be saved is during your lifetime—not after you are dead. ‘For the living know that they will die,’ I quoted from Eccl. 9:5, ‘but the dead know nothing.’ I’m not going to plead for you to let me go, I continued, because I know that even if you kill me a time is coming when I will be resurrected. I knew it was only by God’s grace that my life was spared. Who am I? I didn’t have any power. God was just kind. During the approximately 100-day genocide from April 7 to mid-July, 1994, approximately 1 million people were killed, including my entire family. But even though I came face to face with death numerous times, the Lord always saw fit to spare my life. During the genocide I made a pledge to God—that if I survived, I would return to my home village and preach to those who had killed my family. Following the genocide, I was assigned to serve in one of the biggest churches in Kigali. I was very busy, organizing 42 evangelistic campaigns throughout the city. However, I knew it was important to keep my promise to God and return to my home village, even though it was with some reluctance. God said, “Go!” so I went back to my village and preached. Praise God, 120 people were baptized. Some may ask, “After what you’ve been through, how can you live without bitterness?” God is really good. There were so many people who just lost themselves—living without any relatives—no nephews, nieces, cousins, no one. But it’s interesting what God does for those who love Him. I became very interested in knowing how to get in touch with my Lord. It’s good to read the word of God because it helps you when the bad moments come. You know how to pray and you know that He listens. I forgot about myself and I didn’t remember my problems any more. I learned that God looks after you, and you can be a solution for other people, rather than the problem. In 2000, Phodidas went to the Philippines to study at the Adventist International Institute of Advanced Studies (AIIAS), where he earned his Ph.D. in 2006. His dissertation dealt with possible causes of Christians becoming involved in genocide. 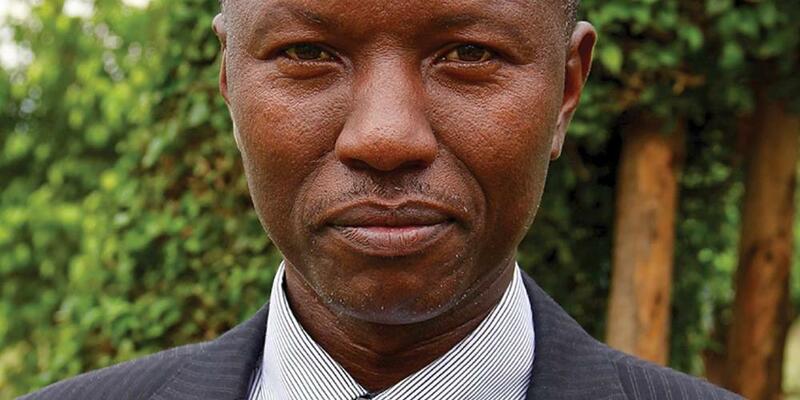 Today, Dr. Phodidas Ndamyumugabe is a professor at the Adventist University of Central Africa (AUCA) in Kigali where he teaches Philosophy of Science and Religion, Bible doctrines, Greek, New Testament Exegesis, and applied theology. For more of the experiences of Phodidas during the genocide, read his book, Rwanda: Beyond Wildest Imagination, by Phodidas Ndamyumugabe.